Guys! What shaver are you currently using and how often do you change them? 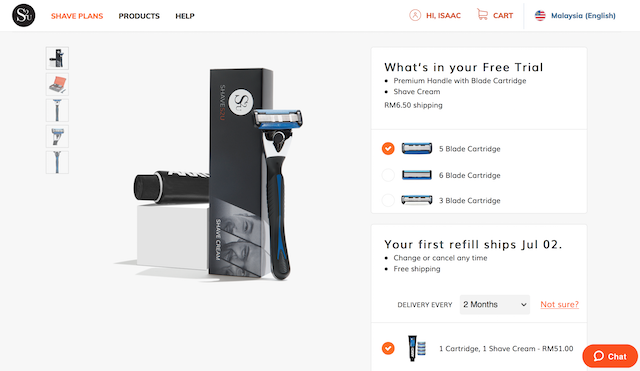 I’ve stumbled upon this site recently, with a very cool concept, where we go on a subscription plan in which a high quality razor with blades and creams are shipped direct to our address on a periodic basis. Gone are the days where we use dull razor blades due to not having the time to replace it in a timely fashion. Shaves2u, remember this name. 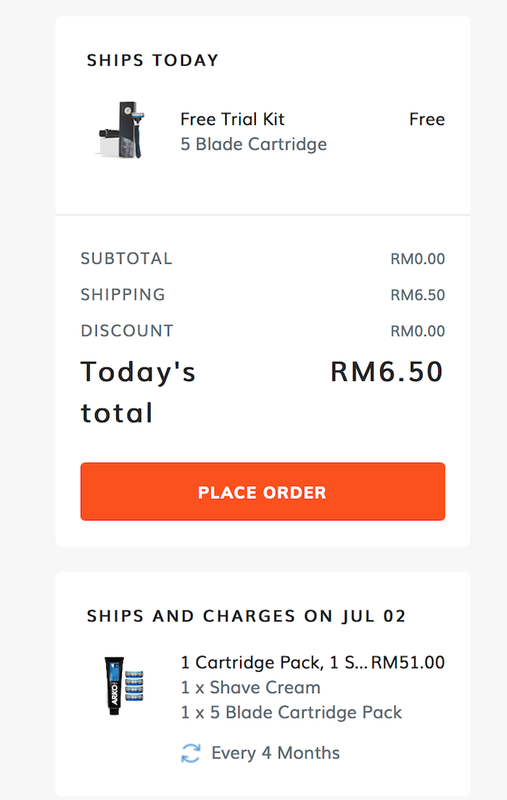 I recently went on the Shaves2u Shave Plan, starting with their Shaves2u Trial Kit, which surprisingly is given FREE, and I only need to pay for shipping which was a low RM6.50. It’s just too easy, just head to the website www.shaves2u.com. 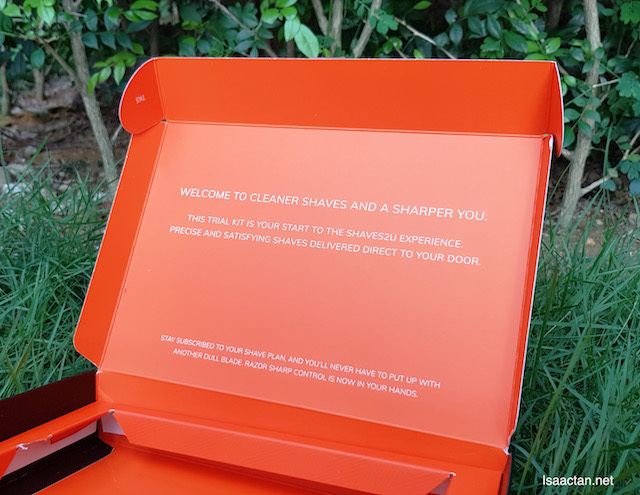 Welcome to cleaner shaves and a sharper you! How does a Shave Plan work? 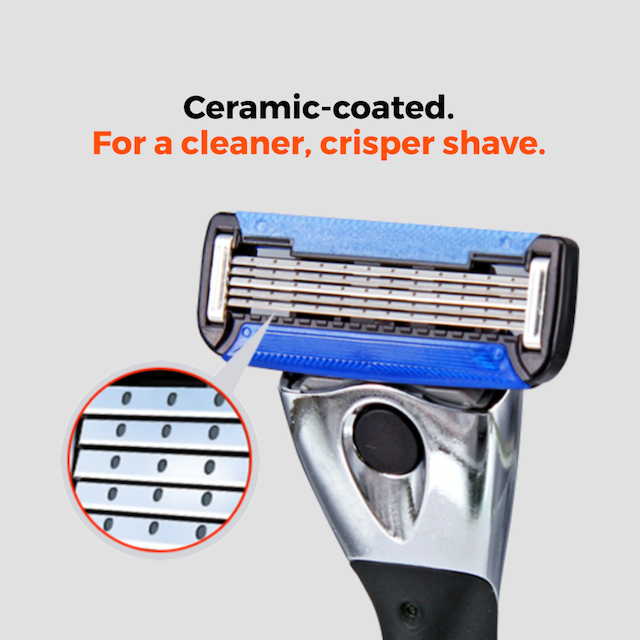 It’s the easiest way to save on shaves, while ensuring that you’re always razor-ready. 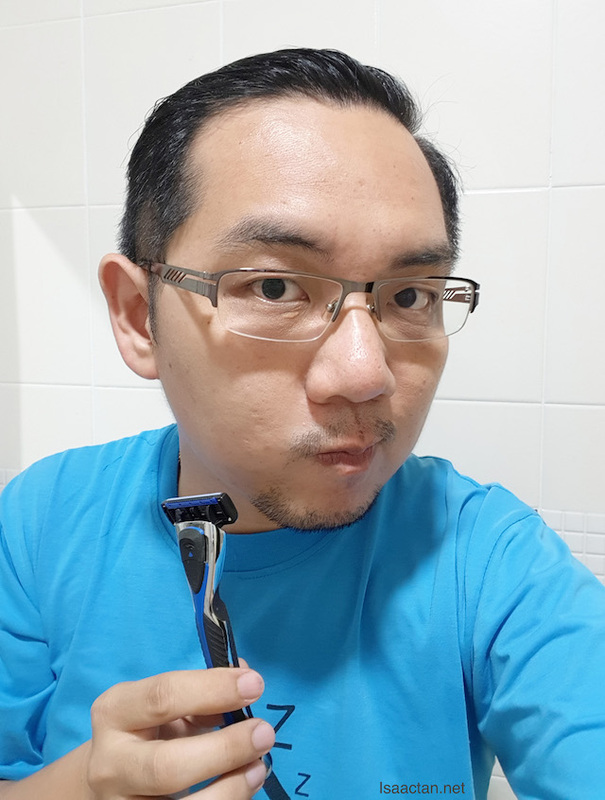 All I had to do was to choose my preferred type of blade (3 Blade, 5 Blade or 6 Blade) and delivery interval (2, 3, or 4 months) depending on my shaving needs. 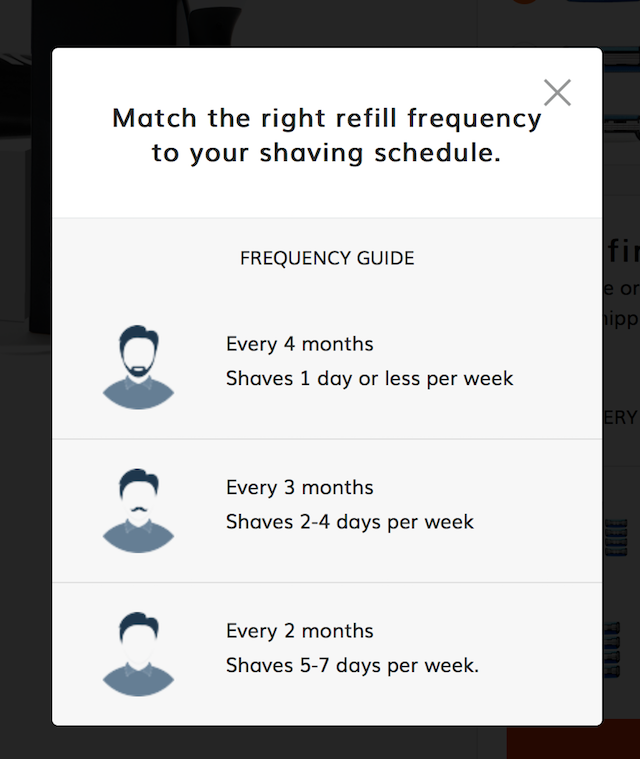 In fact, if you unsure on your shaving needs, like me, just click on the “not sure” option, and various suggestion will pop up. Brand new razors will be delivered right to the doorstep and your Visa card or Mastercard will be billed accordingly. Debit cards are accepted too, on top of credit cards! How convenient. I went for the Free Trial first, because I’m “kiasu” like that. Being in control, getting the trial kit for free, I was glad I could change or cancel at any time. This way, I can decide if the products are right for me before I commit. Awesome! 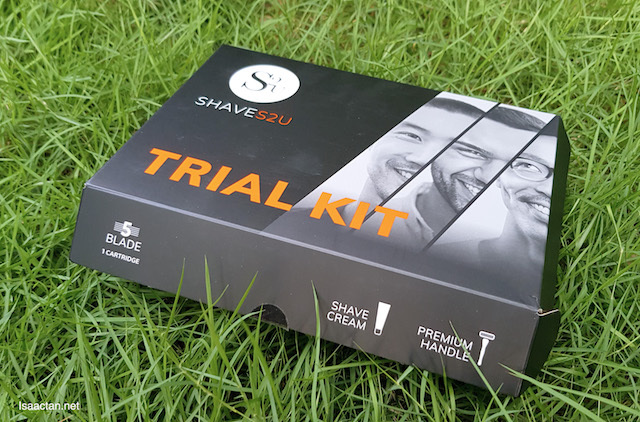 Shaves2U Trial Kit - Looking Good! 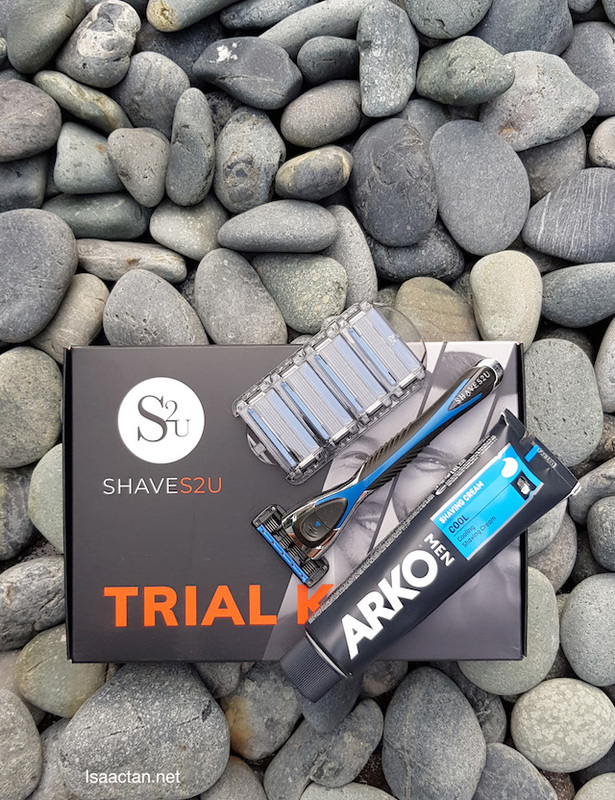 It did not take long to be delivered to my home, my brand new Shaves2U Trial Kit consisting of their premium handle, my choice of blades (I chose the S5 blades), and a shaving cream! Check out some of the picture I managed to snap when the pack arrived. 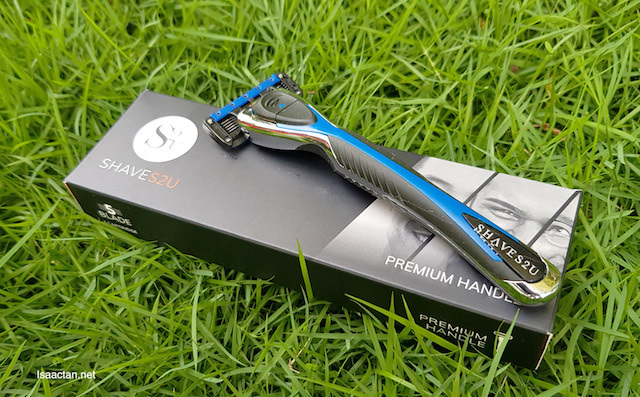 Holding the rather high quality Shaves2U premium handle in my hand, I was convinced that it’ll get the job of shaving easily. There’s a comfortable rubberised grip and weighted metal body for optimal control, topped with a striking chrome finish. Easy to wield, I really liked the grip of this handle. The blades of any shaver is of prime importance, and here we had a choice of taking either their 3 Blade, 5 Blade or 6 Blades cartridges. Each blade cartridges have everything we need for a superior shave: precision-honed carbon steel blades, a moisturising lubrication strip, and an anti-clog design. The differences can be found on their website, but I’ll take the liberty to list it down for you below. What are the differences between the 3 Blade, 5 Blade and 6 Blades? Made with a patented I.C.E. Diamond Coating for durability and sharpness, the 6 Blade also features the MicroSilver BG™ enhanced lubricating strip for a shave that maxes out on smoothness. Ideal for even the hairiest of guys who shave daily for that clean-shaven perfection. 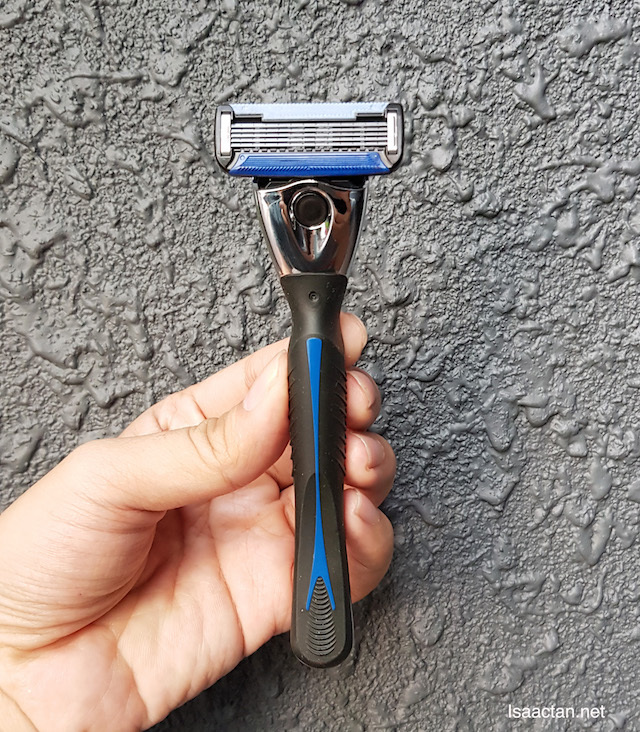 Equipped with a double-coated blade, aloe lubricating strip, and the Accublade® Trimmer system, shave fuller beards and larger areas of skin for a smooth finish like no other. Ideal for full-bearded guys who don’t shave daily. 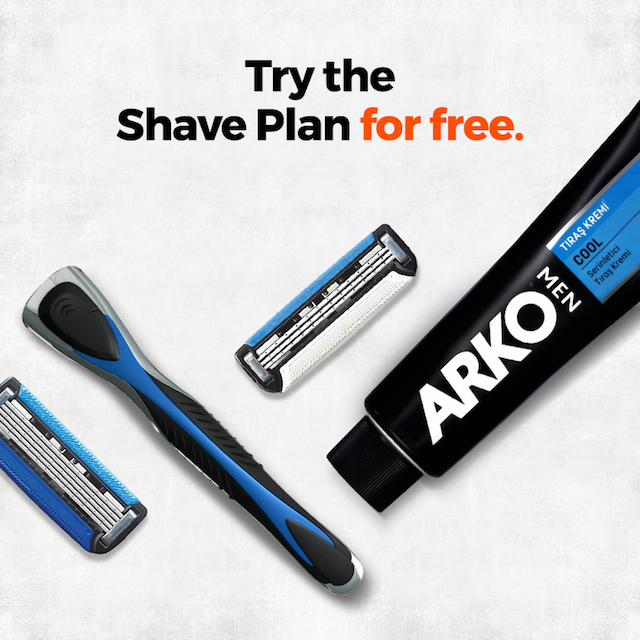 Try the shave plan for FREE! 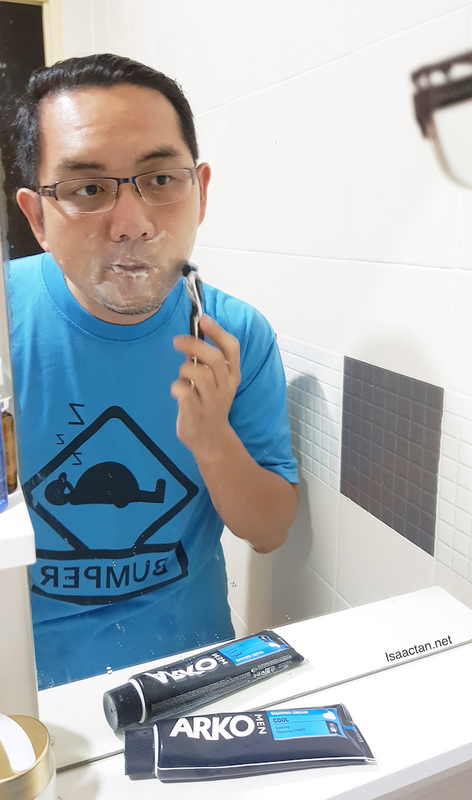 Experience gentler shaving that’s ideal even for upper lip and chin areas. 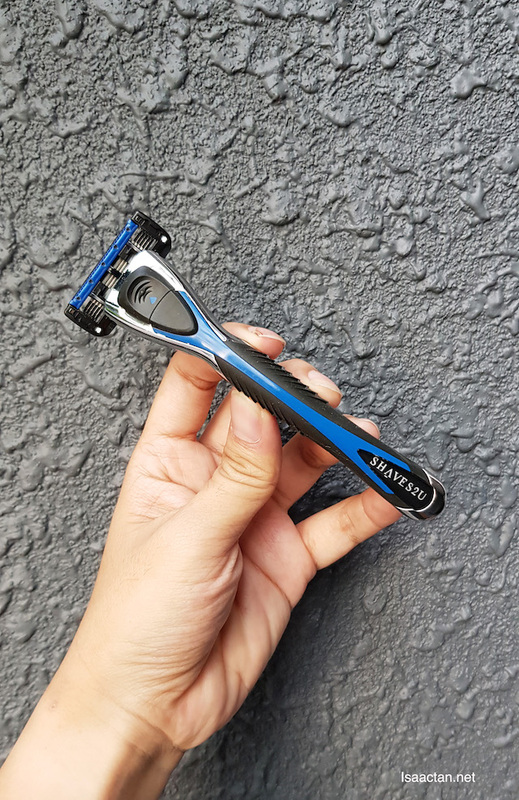 Featuring a lubricating strip to reduce irritation and anti-clog cartridges for ease of cleaning, the 3 Blade Razor works great on thinner stubbles while keeping skin irritation at bay. 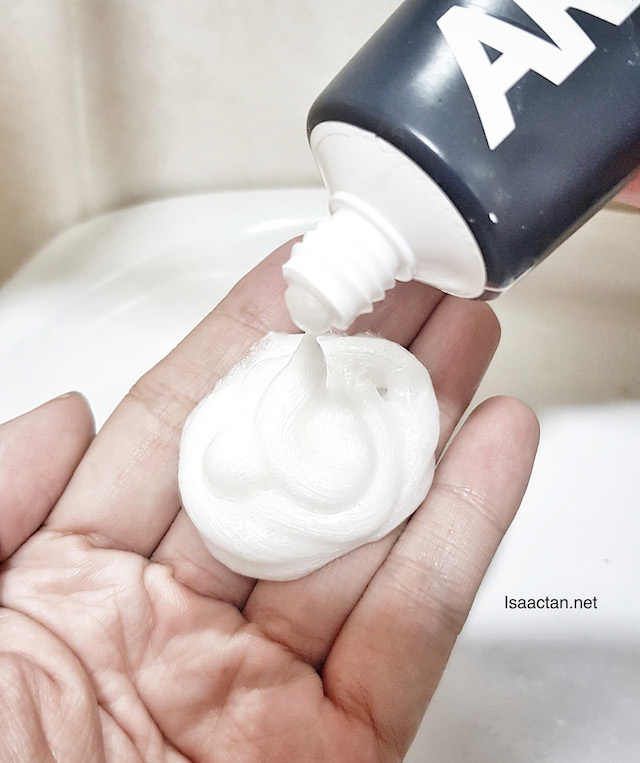 Everything goes well together with the accompanied shaving cream. 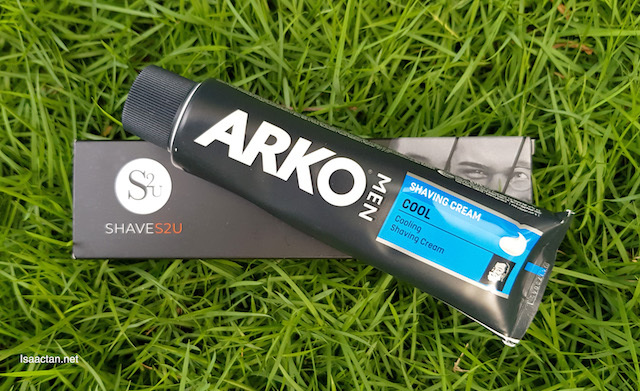 The brand is ARKO MEN, produced in Turkey and it just really makes shaving so smooth! It’s pretty nice actually, the heft and weight of the handle makes gripping easy and comfortable. I love the way the blades just slide across my skin, without any cuts or nicks. Too smooth, that would be the correct word to describe my experience. Would I recommend this? Totally! 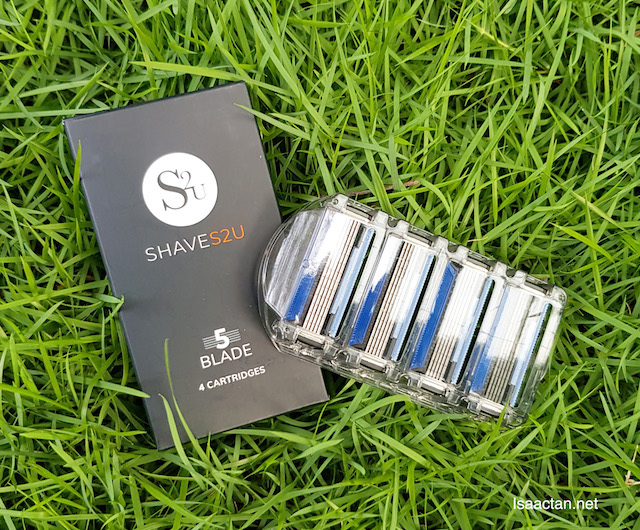 The best part about getting Shaves2U Shave Plan is that we no longer have to worry about our blades getting blunt, or old, as new ones will be shipped direct to us on an interval set. Head to www.shaves2u.com to find out more. 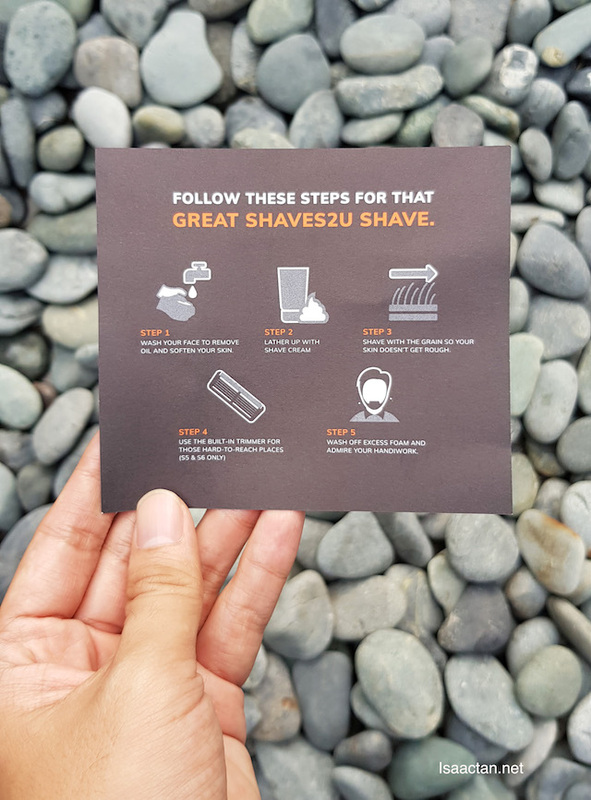 Follow these steps for a great shave! 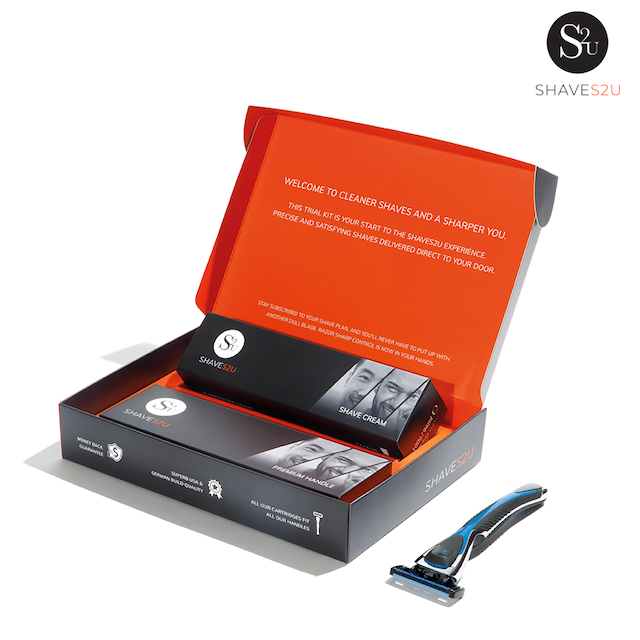 Shaves2U Trial Kit - Get It FREE Today! Click HERE! You get for me, send it over, can or not? LOL!! !